Scottish Radical Herbalism Gathering is a 3 day event in which you can learn about herbal medicine and growing local herbs. It is held in May. Scottish Storytelling Festival is one of the biggest storytelling festivals in the world. They welcome many international storytellers and create a culturally and inspirationally rich environment. It is held in October. Tai Chi Caledonia has been going strong for 24 years and seem to have good reviews. 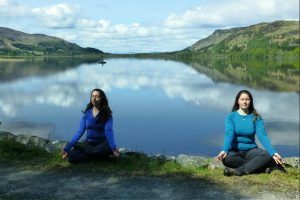 If you want to explore Tai Chi, Qigong and Chinese Internal Arts, they offer weekend and week-long programmes. It is held in July. 4 Day Great Outdoors Yoga & Coaching Weekend Retreat is a conscious vacation opportunity. You will be practicing Hatha yoga, walk through hills and learn about Neuro-Linguistic Programming. It is held in March. Findhorn Foundation in Scotland is one of the year-long open retreat centers. You may check out their regular workshops and join whenever you want to. Glasgow Film Festival is a must to attend if you’re into international cinema. For two weeks, they offer a rich programme full of local and international movies. It starts on February 20th. Braemar Mountain Festival is dedicated to lovers of mountains. They offer workshops on ski touring, winter skills, avalanche awareness, low level walking, navigation and fell running. It starts on February 28th. Glasgow Summer Sessions is a 9 day music event. This year’s headliners are The Cure and Foo Fighters. It is held in August. Here you can find a summary of music festivals in Scotland. And here is a list of Scottish science festivals.